For decades Palestinians have lived on the edge of annihilation, their homeland steadily annexed until just a slither of the original remains. It’s a story that just won’t go away, even for those thousands of miles away, who try to cover their ears and eyes from the shame which has befallen the ruthless oppressor of this now tiny peninsular of land and its battle weary people. That is how it worked, and I was there as a volunteer for a brief period, my interest being directly connected to an exploration of alternative models of land settlement, with a view to the future of the UK country estate I had inherited on the death of my father some years earlier. One day I left the kibbutz in order to visit a wise elder in Tel Aviv. In the course of our conversations about the land settlements, he told me something of great interest. He said that the word Israel, in the original Hebrew, means ‘to strive with God’ and that this has been covered-up by the extreme right wing Zionist element, who insist that Israel is the name of the country that had been Palestine up until the 1918 Balfour Declaration created the ‘two state’ position that – on paper – remains the reality today. So perhaps Israel, I thought to myself, was never meant to be ‘a place’ at all, more a way of life – a commitment to ‘work with God’. And if so, what did this mean in the light of the claim that this geographical area of land at the Eastern end of the Mediterranean – is the ‘homeland’ of the Jewish tribes? This explanation by the wise elder stuck with me; it presented a whole new understanding of – and possibly for – the resolution of the seemingly intractable Palestine/ Israel crisis. If, by definition, the sons and daughters of Israel have mistaken a ‘material place’ for a ‘spiritual mission’ this would indeed be a profoundly significant misunderstanding. One that, should it be admitted to, could change the course of history. Fisk, who belongs to that rare community of journalists who seek to communicate the truth, exposes the horror of the Gaza front-line massacre of Palestinians who got too close to the security fence that separates Gaza from the Israel border. Sixty men, women – and one child – shot dead in just one day and two thousand four hundred wounded. Not one Israeli suffered even a wound, as Palestinian youths threw stones and launched burning kites against live rounds of ammunition; each round targeted to kill. As this carnage raged on the Gaza border, Jared Kushner, Donald Trump’s son-in-law, was opening the new American Embassy in Jerusalem, amidst a smartly dressed entourage of Zionist evangelicals. Pronouncer’s of the view that this event was a portent and precursor of the great apocalypse and subsequent return of the Saviour. A time when Jews will return to the ‘homeland’, and those who fail to convert to Zionism will meet a fiery fate in the underworld. Those who gathered inside the new US Embassy in Jerusalem, believe that any amount of cold blooded murders are worth it, in order for Jerusalem to be recognised as the Jewish capital of Israel, to the complete exclusion of Palestinian claims to the same end. “It’s a great day for peace” declared Benjamin Netanyahu, as unarmed Palestinians were simultaneously being picked-off by the Israeli military on the Gaza border. And Donald Trump no doubt echoed this view, as it is ever more apparent that he walks in Netanyahu’s shoes in every way, other than literally. It’s been seventy years now that Palestinians have been protesting their dispossession at the hands of those who refused to uphold the land resource split agreed in the Balfour Declaration; itself a compromised piece of legislation. Many Palestinians fled across the border to Lebanon during the vicious pogroms that flared-up in the post World War Two resettlement period. Some no doubt joined Hamas, which was formed to try and protect village communities against the ceaseless land grabs perpetuated by Israeli hard liners. I remember the occasional missile flying over Rosh Hanikra kibbutz back in 1975, from the Lebanese side of the border – and how no one paid much attention – as any damage done on the Israeli side would be paid back five fold on the Lebanese side. It has been a desperately one sided struggle from the outset. Not surprisingly, when we know that the US Senate approves copious funds to bolster the military cause of the ‘One Israel’ fanatics. After my work experience on the kibbutz, I journeyed to Jerusalem and then down into Arab Jordan. I remember gaining the distinct impression about the two cultures as, I travelled. The Israelis, being composed mostly of resettled Europeans and Americans, were culturally Westernised and mostly intellectual by disposition. Whereas the Jordanian Arabs, indigenous natives of the Middle East, were openly warm and naturally inclined to expressing emotion, by disposition. My overriding impression was that the two cultures represent two parts of one whole; both having characteristics that – if put together – would be complementary and form a positive sense of balance. I believe that such a positive resolution would indeed have been the likely outcome if the hard-line Zionist faction had not gained a predominant position of control in Israeli politics from an early point in the history of the Country. 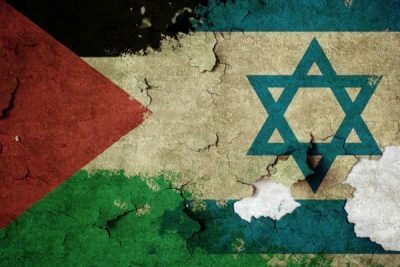 We are forced back into the observation that the Rothschild, Rockefeller, et al dynasties, with their strong affiliation to The Project for the New American Century, The Trilateral Commission and the Bilderbergers, have maintained an as yet unbroken influence on the evolution of Israeli politics. Successfully establishing the old ‘divide and conquer’ technique to ensure that the tunnel vision hard-liners remain in the top seats of power. This inflames the whole Middle East, as the game plan of this cabal has always been to destroy the indigenous sense of unity of this region and replace it with a form of military dictatorship, funded and directed by the advocates of a totalitarian New World Order, in which the ‘elite-by-blood-line’ remain permanently in the driving seat. A direct extension of the Third Reich, with its openly stated genocidal and eugenics ambitions. The demographic position of Israel gives it important geopolitical influence over international trade routes using the Suez Canal, as well as to surrounding countries rich in natural resources, especially oil. Keeping the Country firmly locked into serving as an outpost for these, as well as closely related Western hegemonic interests, plays a significant role in the choice of Israel’s leadership, and from where the financial support for this leadership comes. As the Middle East crisis continues to be fanned by such die-hard despots, people are waking-up and beginning to see through the deception. The affect this is having is to trigger a clamp-down on any criticism of the Zionist cause. For it has suddenly become a weaponized subject, for which even the fundamental right to ‘freedom of speech’ must apparently be curtailed. We have already witnessed a savage attack on the UK Labour Party and its leader Jeremy Corbyn, for supposedly harbouring anti-semitic sympathies; but in actuality, it is much more likely that certain individuals were simply telling some of the same truths as I attempt to convey in this article. The instigators of this attack were the British Association of Jews and Friends of Israel. The most astonishing aspect of it was a letter sent to Corbyn co signed by the leaders of these organisations, which demanded that he take action to weed-out the supposedly anti-semite trouble makers from his party. Corbyn was informed that he must supply proof of his complying with this demand within a month, and only after considering this evidence would they decide whether or not to black list his party. Here we witness all the same symptoms of authoritarian despotism that are behind Netanyahu’s attempts to crush the Palestinian cause and the continued resistance which it so courageously maintains. Aside from the absurdly biased challenge on the British Labour Party, the instigators antagonistically assume the moral high ground that gives them the right to dictate the terms. Donald Trump’s deliberately provocative decision to move the US Embassy out of Tel Aviv and into Jerusalem, is an action carried out in order to cement continued far right support for Netanyahu’s government and its policy of eradicating any and all opposition to a ‘One State’ Israel. We have thus arrived at an incendiary position of conflict which continues to drag neighbouring countries into the cauldron. The Gaza killings have provoked the United Nations to call for an independent investigation into war crimes committed by Israeli troops. The only nations to vote against this proposal were the USA and Australia. But such investigations never seem to come to any definitive resolution, as the UN itself has strong links to the global power brokers, and is more ‘a front’ for temporarily defusing conflicts than a genuine arbitrator for justice. I left Kibbutz Rosh Hanikra in the Summer of 1975 and returned to England to attend an important conference on organic farming methods. The conference was run by the Soil Association and its chairman was Lady Eve Balfour, the grand-daughter of Lord Arthur Balfour who established the 1918 declaration that divided Palestine into two. Although the two state system has – in principle – survived, it has been repeatedly violated by the establishment of illegal Israeli colonies on land appropriated from Arabs who had owned and lived on it for generations. The seemingly intractable nature of this conflict seems to defy a positive and peaceful resolution. But such situations demand creative solutions – and even if one has to dig deep to find them – the effort must be made. Could it be that the words of the wise elder I met in Tel Aviv back in 1975, might hold the key to unlocking the truth? Perhaps he was right, and that Israel is not actually a geographical place at all – but an aspiration – a ancient commitment to ‘work with God’. And if this God is the same deity as He who gave birth to the dazzling Universe, then Israel would indeed be a name that many a wise being would cherish and hold in honour. A name that would be the harbinger of peace and reconciliation instead of war and division. A message of deep meaning not just to the Middle East, but to all inhabitants of planet Earth. Let us meditate on that. Hold that conclusion in our minds and hearts, and thereby play our role in resolving this tragic conflict. Julian Rose is an early pioneer of organic farming, an international activist, writer and social entrepreneur. He is President of The International Coalition to Protect the Polish Countryside and is the author of two acclaimed titles ‘Changing Course for Life’ and ‘In Defence of life’ both of which are available via his website www.julianrose.info . His third book ‘Beyond the Mechanistic Mind’ will be out shortly.